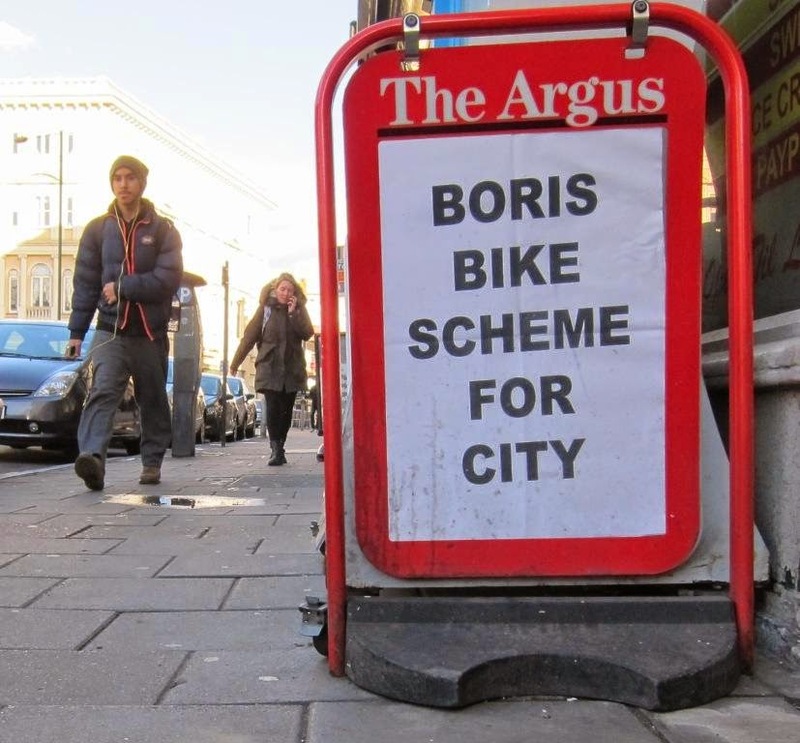 After a false start a couple of years back, Brighton and Hove is now going to get a bike hire scheme, according to these reports in the Argus and in the Brighton and Hove News. Great stuff. Not just because it means those of us who live, work, play and visit Brighton and Hove will be able to get around in a way that’s more easy, less polluting, keeps us fit and avoids the security problems of using your own bike (Brighton is very popular with bike thieves). Worth noting is the comment from Brighton and Hove City Council, which said, “Around 46% of households in the scheme area do not own a car. Yet research has shown a main reason people do not cycle is that they do not own a bike – about half of households do not have one.” And, looking at things as a behavioural economist, the sight of all those bike hire stations is a major visual prime – it sends a message along the lines of “here’s another way to get around, another transport option when you need to get from A to B. Now you don’t have to own a bike in order to get on a bike.” Not only that, but bike hire is consistent with the sharing economy that is becoming a major sector in its own right – a self-guided, self-propelled two wheeled version of Uber. Which brings us to the major question: what are we going to call our bike hire bikes? Barclays, who sponsored the original bike hire scheme in London, were no doubt less than chuffed with the two wheelers becoming universally known as ‘Boris Bikes.’ Which might be why a major Spanish bank has now assumed the mantle of sponsorship. But I can’t see ‘Santander bikes’ catching on. Bizarrely, it wasn’t even Boris who came up with the idea – he just got lucky by being Mayor of London when the scheme of his predecessor Ken Livingstone went live. So maybe they will just be known in our fair city as ‘Brighton Bikes.’ After all, we don’t have a mayor. And it seems unlikely that they will be named after the Leader of the Green administration. ‘Kitcat Bikes’? Sorry Jason, it isn’t going to happen.